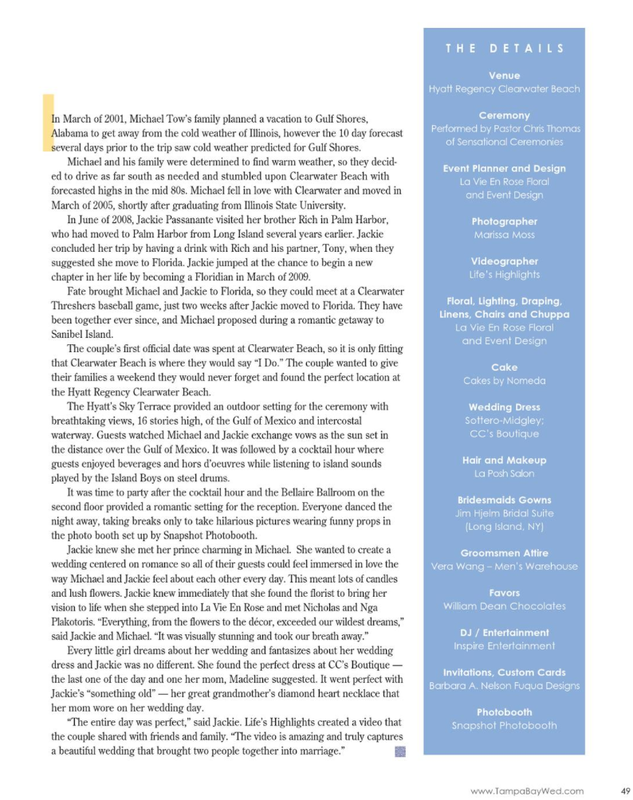 Congratulations to Jackie and Michael… for their wedding is featured in the Tampa Bay Wedding Magazine Spring 2013 issue. 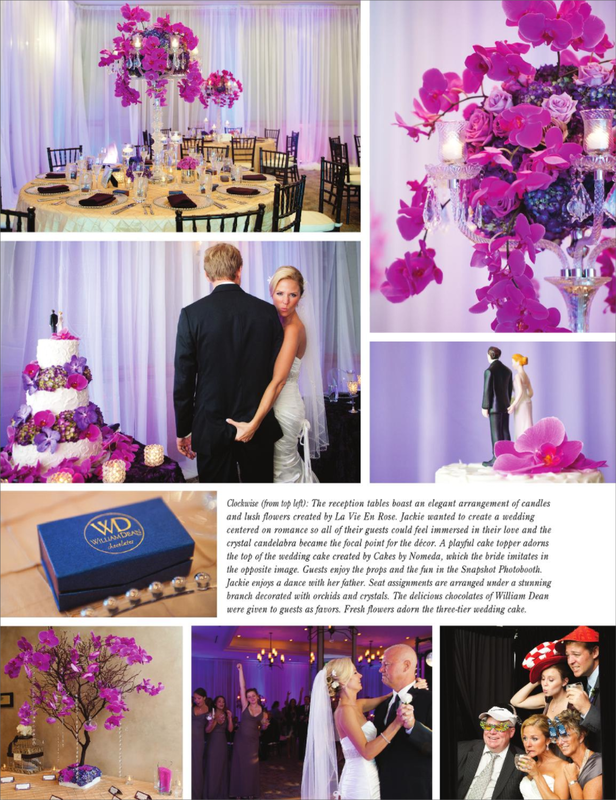 We designed all the floral and decor… as an event designer we conceptualized and executed multiple elements. 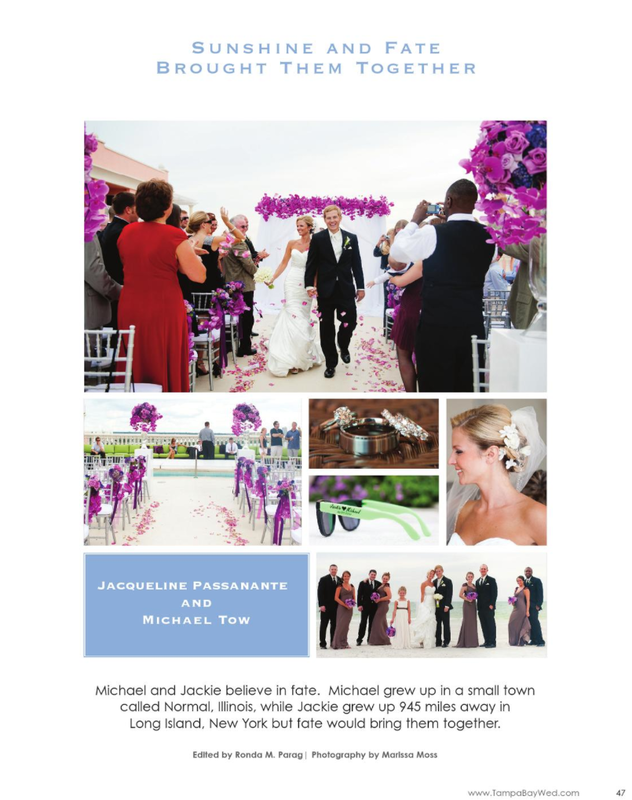 We started with the space design of the ceremony and reception. We designed and produced the chuppa and floral. We also provided crystal candelabras, custom table linens, fabric wall draping, LED wall wash, monogram, glass beaded chargers, custom napkins, crystal stem candle votives, chiavari chairs and ghost chairs for the reception. Thanks to Marissa Moss for capturing these images.